A list of the top 15 tips to help you prepare for breast lift surgery. Tips include communicating your concerns with your surgeon, preparing your body for the operation, and making arrangements to ease your recovery. Breast ptosis, or sagging, can be the result of significant weight loss, breastfeeding, or simply the inescapable passage of time. Regardless of the causes, many women choose to fight back against it with a popular surgical procedure called a mastopexy, or more commonly, a breast lift. Breast ptosis is classified using a graded system to determine the severity of the sagging and the best possible options to address each individual. However, regardless of the severity or technique utilized, the goal in each case is a natural breast shape that is youthful and buoyant. If you are one of the thousands of women considering a breast lift and you want to be fully prepared for the entire process, here are our top 15 tips to help you prepare for your surgery. If you are one of the thousands of women considering a breast lift and you want to be fully prepared for the entire process, here are our top 15 tips to help you prepare for your surgery. Eating healthy and exercising regularly in the weeks leading up to any surgical procedure is a great way to give your body the extra boost it needs to undergo and recover from the operation. So drink lots of water, eat healthy, balanced meals, and stay active! While staying active, focus a bit more attention on strengthening your stomach muscles. A strong core will help you get up and recover faster after your operation. Get one of those large, inflatable exercise balls to help build your abdominal muscles. You can also try the plank — it’s a great exercise that engages your whole body. Your recovery time, and many of your post-operative instructions will depend on the specifics of your procedure. Talk to me before hand to make sure you know what to expect. This is also an ideal time to ask any and all questions you may have. Don't be shy, I’m here for you! In keeping with the concept of healthy living, if you use any tobacco products you should stop, as well as limit your consumption of alcohol at least three weeks before your surgery. Completely cut out alcohol one week before your surgery date. Both alcohol and tobacco can have a negative effect on the healing process by increasing bruising, swelling and discomfort. The idea of "practicing" sleeping in any position may seem silly, but many people struggle to fall asleep on their backs. Unfortunately for them, this is simply the most comfortable sleeping position post-surgery. Practicing before it becomes a necessity may save you a few restless nights. At least three weeks before the date of your surgery you should stop taking any and all medications that contain aspirin or ibuprofen. During your pre-operative appointment, you will be given a more comprehensive list of both prescription and non-prescription medication to avoid due to the risk of bleeding. Certain vitamins and herbs can also cause blood thinning and need to be avoided as well. 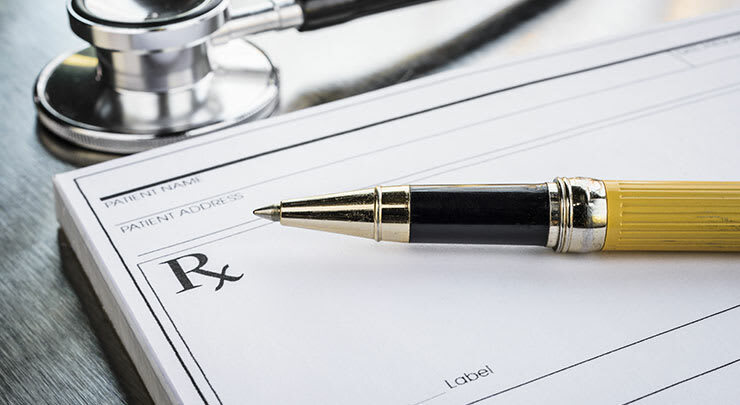 During a pre-operative meeting before your surgery date you will be given your post-operation prescriptions. It is a good idea to fill these a few days before your operation date. That way you'll already have them on hand when you need them. In addition to filling your prescriptions early, it is also a good idea to try to anticipate as many of your needs during recovery as possible, and do your shopping ahead of time. Make sure you buy your groceries, any comfort items you may want, and even consider attending to any necessary housework while you're at it. Everything you do before surgery is something you don't have to do while recovering. Along with your post-op recovery prescriptions, when you meet with me you will also be given a set of specific pre-operation instructions, designed just for you. These instructions will include things like what you can and cannot eat prior to surgery, as well as a few post-op instructions like incision care. Once your procedure is complete you will not be able to make your way home on your own. It is imperative that you make arrangements for an adult to not only see you home safely, but to stay with you for at east the first 24 hours after surgery. If you are a mom, consider making arrangements for childcare for at least two days to a week after your surgery. If your child is so young as to require a lot of lifting throughout the day, get help for a longer period. Lifting any weight, including an infant, will be difficult for many days following surgery. The night before your breast lift surgery be sure to take a shower and wash your chest and breasts thoroughly. This simple routine helps to lessen the risk of infection. Also remember not to wear any makeup or jewelry on the day of your surgery. In the week before your surgery date, and especially the night before, it is important to be get a lot of sleep. The more well rested you are on the day of the procedure, the better shape your body will be in to deal with the stresses of surgery and recovery. On the day of your procedure it is a good idea to wear loose fitting, comfortable clothing. Wear a baggy button up shirt. This will be much more comfortable for the ride home than something more form fitting. It will also be easier to put on and take off, since you won't be able to lift your arms over your head. The last entry on this list is also possibly the hardest to achieve. Anxiety and nervousness before an operation is natural and expected. Take deep breaths, try to stay calm and positive. Feel free to ask any last minute or lingering questions you may have on your mind. We want you to be to totally at ease.